Lotus has recently lent out a brand new Evora to the UK Police Force to try the sports car out. The hot new car features the traditional British Police exterior signature looks, including neon yellow accents contrasted by a dark blue. The Police Evora was introduced at the Autosport International Show, and Lotus officials have mentioned that the keys will be handed over to West Midland&apos;s police force at the end of the show. 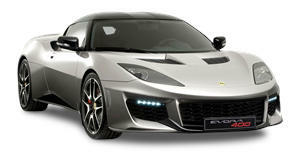 Officials at Lotus have claimed that the new Evora doesn&apos;t sacrifice fun for speed, within the legal limit of course. Lotus will be working with the officers to teach them how to get the best from the Evora to ensure that any high-speed activity is as safe and effective as possible. British motorist should be wary of being pulled over by one of these new police sports cars.